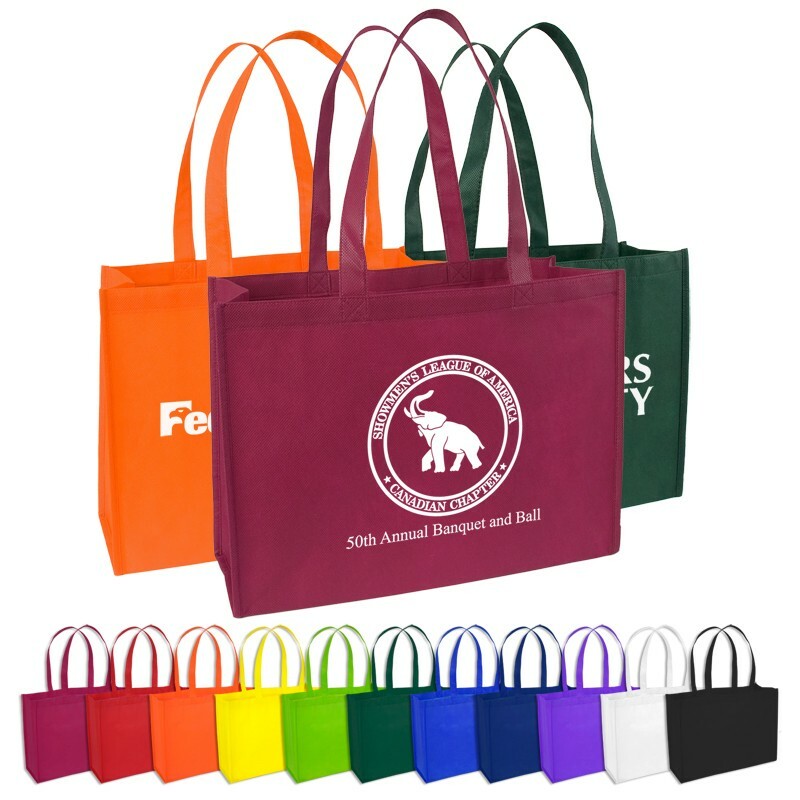 Our Eco-friendly 80 GSM polypropylene custom convention totes have 22" handles and is spacious enough to hold all of the great pamphlets and goodies that one receives at a trade show or convention. We often suggest companies sponsor show by providing these because it is great exposure. Price includes your logo or message on one location.